A recent trip back to Minnesota from Chicago had my family and I stopping in Janesville, Wisconsin for a late lunch/early dinner. 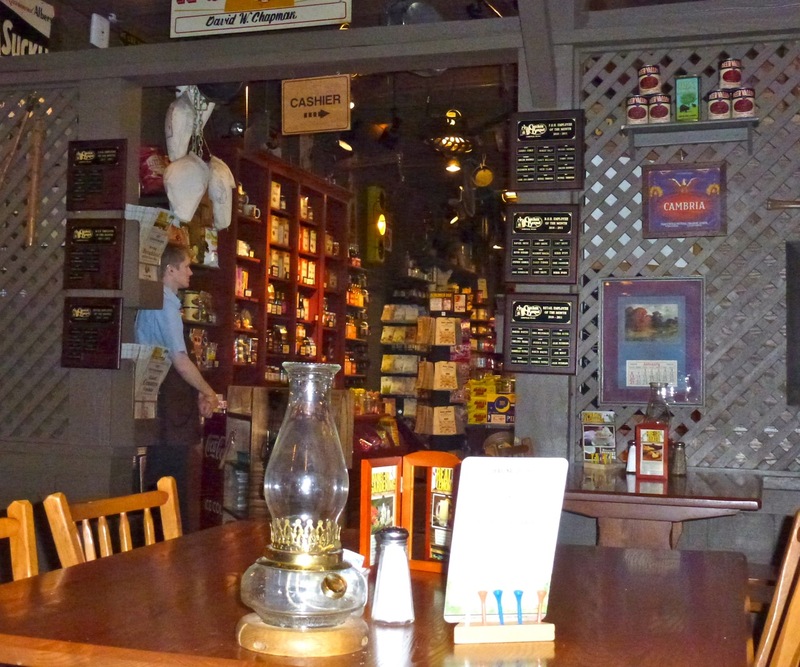 The Cracker Barrel Restaurant sign could be seen while driving on the highway and as I had never been there and my son raved about it, we decided to stop. Upon entering, there is a country-style store that has lots of neat items to buy. From Amish looking (and inexpensive) quilts to homemade jam and fudge, I made sure I browsed after we had lunch. A sign that said “Hostess” was above an area where a young man waited to show us where to sit. 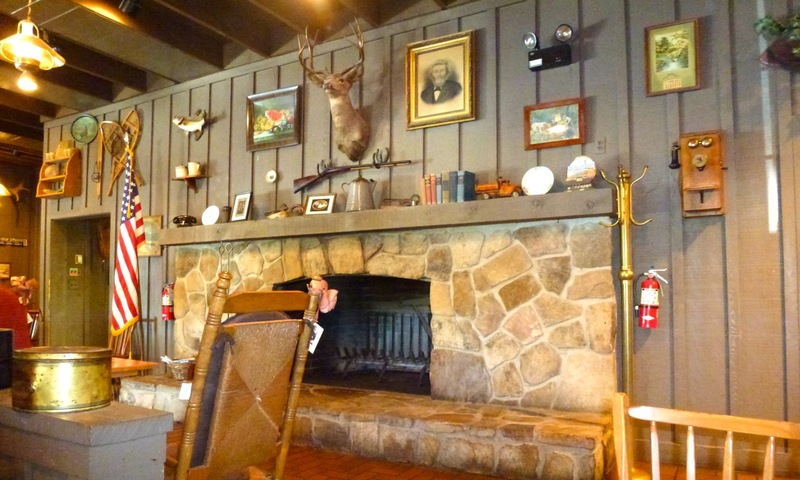 The restaurant itself is decorated with country items. One of the items that I hadn’t seen in awhile sat on each table of the restaurant — do you remember playing this game when you were a kid? The purpose of this game is to keep you occupied while waiting for your food. It served it’s purpose well. There is one hole that is empty and has no peg in it. You “jump” the other pegs and try to get rid of as many pegs as possible. 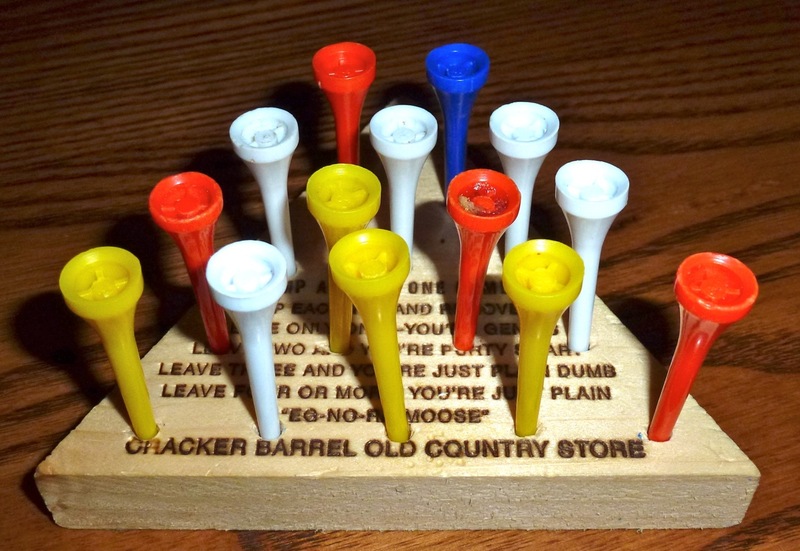 If you only have one peg left then you’re a genius! Unfortunately, I was not a genius on this trip. The personality of the waitress was neutral as she was neither friendly nor unfriendly but simply business-like. Our orders were taken and served to us quickly. 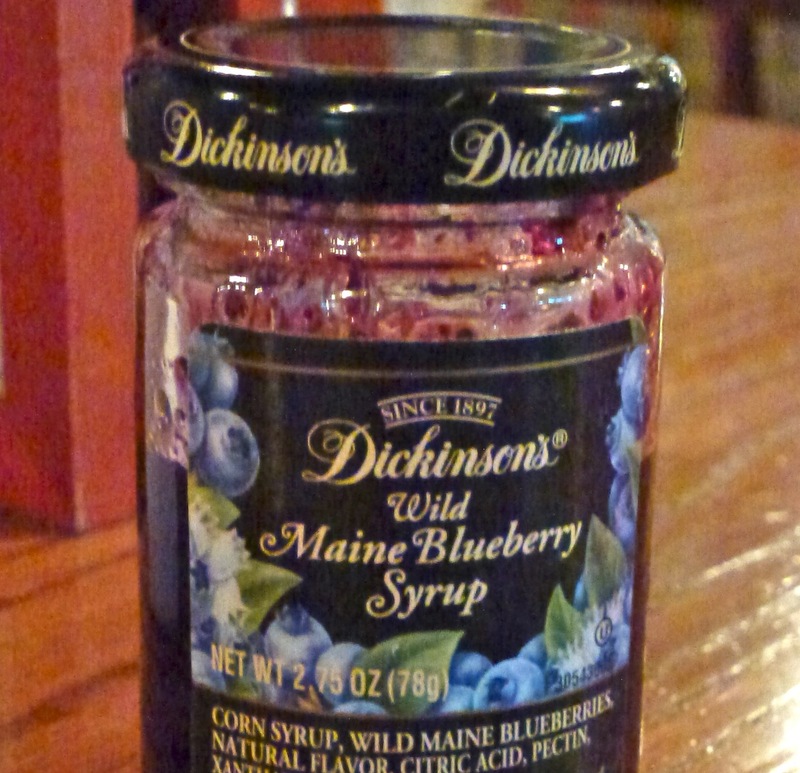 I had the Blueberry Maine Pancakes and they were absolutely delicious. They came with a small bottle of blueberry syrup. 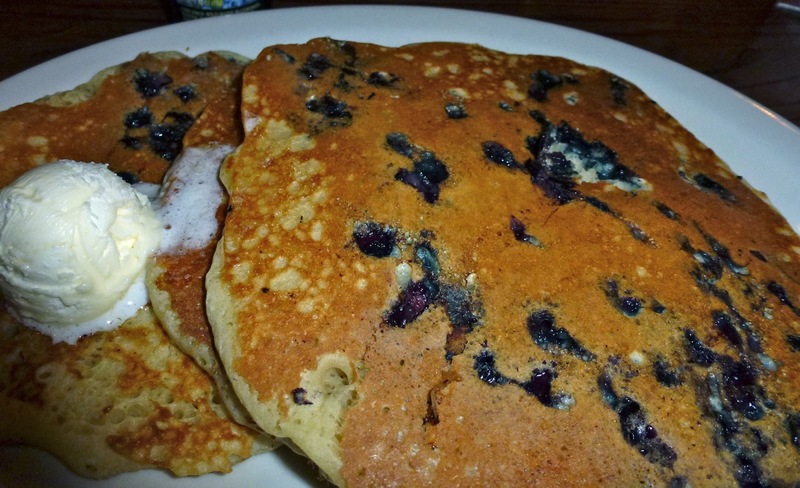 I would highly recommend these pancakes as they were so moist and had real blueberries in them. 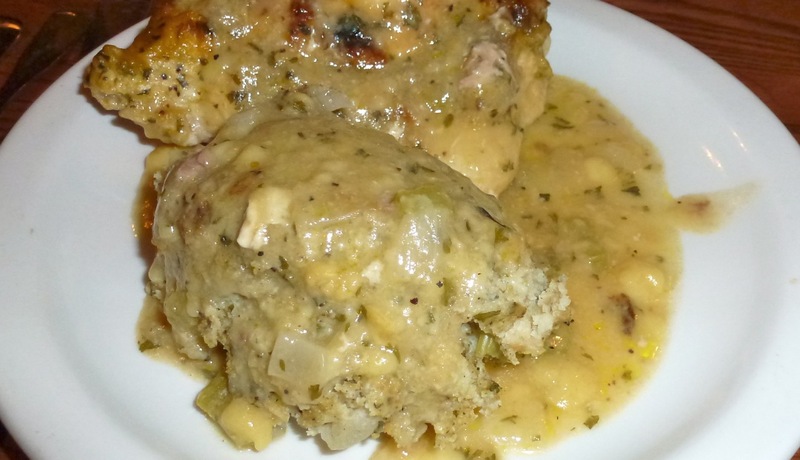 The two other entrees that my family tried were the Chicken and the Meatloaf. Both were good although the honey corn muffins weren’t as good as others we’ve had at other restaurants. 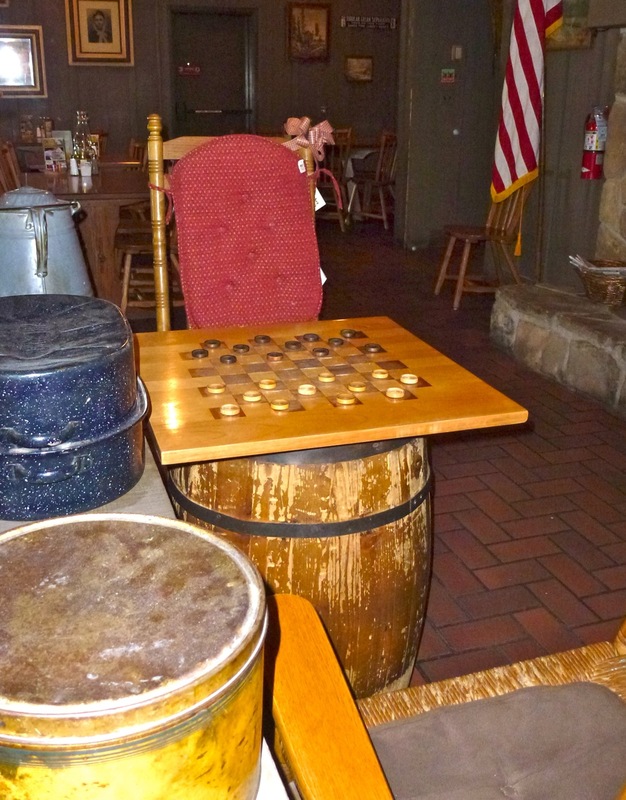 I thought it was quaint to see this table set up for someone to sit and play checkers at. I think we’ll have to stop here again on the way to/from the Chicago area. Good food!